Growing up can be a grim affair - especially in early 80s England. The news seemed ever present with tales of flare ups between America and Soviet Russia in the cold war. And we were obsessed with the question of whether possessing nuclear weapons ourselves as such a small country deterred invasion, or just put us on the frontline of nuclear invasion. It was something that just seemed to be reinforced in so many lessons at school. In physics talking about fusion and fission, we were reminded how one modern nuclear weapon would take out most of the country. In history we studied not only the decision and effect of the bomb at Hiroshima, but the after effect, with the knowledge of how many orders of magnitude more powerful modern weapons had got. And in English, we were made to watch Threads (a story about nuclear war, and how society would unravel) alongside reading the book Z For Zachariah, a tale about post-nuclear holocaust survival. Somehow the popular lyric from the Morrissey song "Ask" summed up the mood of many, "if it's not love, then it's the bomb ... that will bring us together". 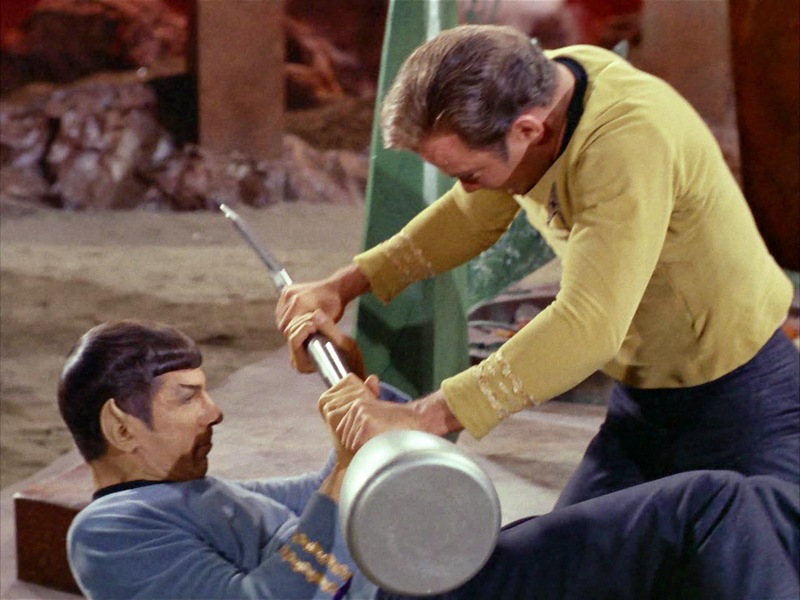 And then there was Star Trek. Creator Gene Roddenberry often attributed it's success to it's "optimistic vision of the future". It was the 23rd Century, and somehow mankind had avoided annihilation and reached for the stars. It's little wonder then that I found myself wanting to lose myself in this world. Life as a young teenager is one of confusion - in my scenario above, a little more so. 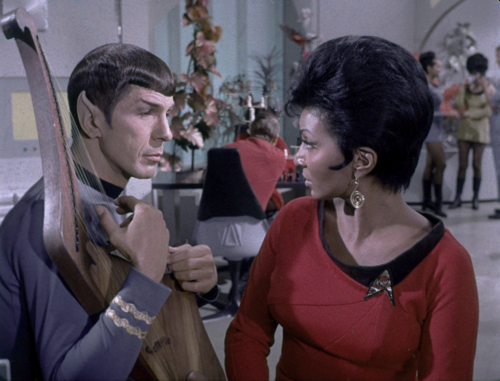 To say the I identified with the character of Spock, somehow doesn't do it enough justice. He was smart, strong (as a boy going through a growth spurt you seem suddenly to get super-strength compared to the puny thing you used to be), seemed to have a haircut given to him this the aid of his mother and a bowl and as the only alien on a ship of humans, always a bit of the outsider. He was a character who displayed a calm and rational demeanor, finding any show of emotion somewhat vulgar (typical teen boy then). But beneath it all he had the same emotions as all of us bubbling up, and sometimes in episodes such as The Naked Now, they came to the surface. He tried to appear that he didn't need friends around him, and yet he had them anyway. It's quite natural and normal when you have so much affection for a character for that affection to spill out to the person who played them. Even knowing, that actor and character are not the same person (this is good to know if you ever meet Jack Gleeson at a convention). 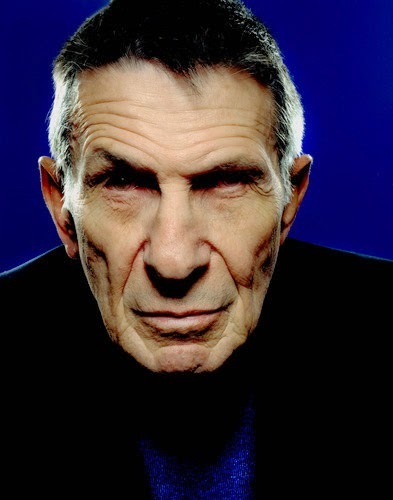 For actor Leonard Nimoy, this was a difficult thing - all told his appearance as Spock counted for 3 years of work during the 60s, and 8 films he's since appear in. To have played a role which brought such instant recognition was both a blessing and a curse. His first autobiography "I am not Spock" had him trying to distance himself a little from the role, like any person going "look, I can play other roles you know". With his second book, "I am Spock", he'd found himself embracing how rare it is for actors to have played a part which so touches and grips so many. I've followed him on Twitter the last couple of years. He wasn't Spock. But all the important things we find so important in his character were reflected in him. A desire for rationality over rash reaction. A wry wit. A passion for peace. And always his posts signed off with LLAP - Live Long And Proper. 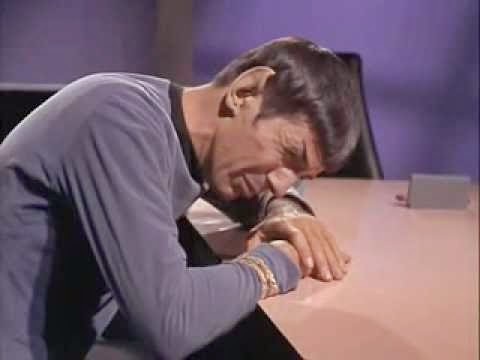 The alien character of Spock will always be with us, but there will be a vacuum left by the man who was Leonard Nimoy. I'd love us to get together, to talk, maybe plan a talk on how our geekiness and fandom has driven our lives and careers. 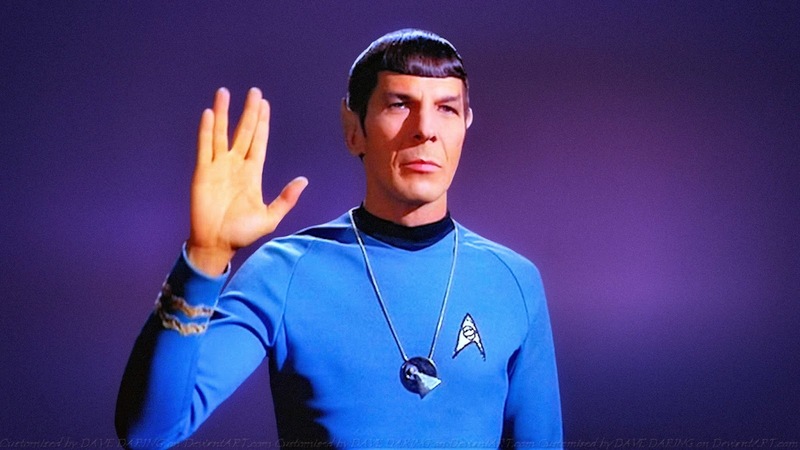 How characters like Spock dared us to imagine, believe beyond the ordinary. I know it's just a character, just a Tv show to some, but it is so much more than that. I do like the idea of doing this. Did I also mention ... he made science seem really cool.